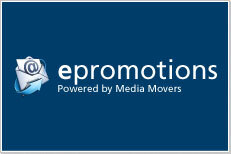 Media Movers E-promotion is a personalised email marketing tool designed specifically for your needs and target customers. You provide us with the content of your e-publication (periodic newsletter, sales specials, events notifications etc) and a list of email addresses and names you want the message sent to and we do the rest. 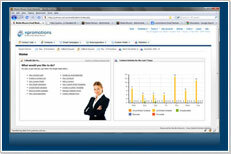 Email marketing generated an return on investment of $48.34 for every dollar spent on it in 2007. The expected figure for 2008 is $45.06, and the prediction for 2009 is $43.52. As such, Email Marketing outperforms all the other direct marketing channels examined,such as print catalogs. HTML, Text or Multipart (Both) Email Formats – Multipart emails are sent as HTML and text and your subscriber’s email client will show whichever version it supports best. Additionally, Media Movers can provide statistics on how the E-Promotion has been received by your target customers including details of opened emails, the amount of times emails are forwarded to friends, in-depth click-through analysis (including links that were clicked, by who and what frequency), amount of unopened emails and bounced emails and details of any customers who asked to be unsubscribed. Not only do e-promotions increase sales and business visibility, but they show your company in a professional and progressive light. E-Promotions also save time and money for your company with Media Movers handling all of the administration with the only cost incurred after set-up and storage fees being $0.03 an email!